This year's symposium is hosted by the Department of Health and Human Services (DHHS), National Institutes of Health (NIH). It is sponsored by a consortium of federal agencies. The symposium will be held at the Natcher Conference Center (building 45), on October 30-31, 2019, from 9:00 a.m. – 5:00 p.m. 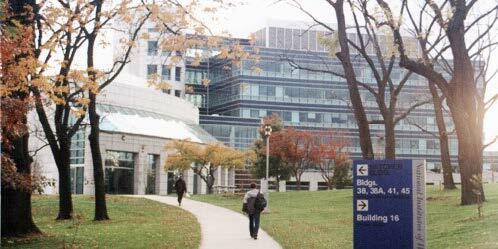 The conference center is located on the campus of the NIH, 9000 Rockville Pike, Bethesda, MD 20892. Government ID will be required for entry to the NIH campus. Conference plenaries will be held in the main Natcher Auditorium, located on the lower level with a seating capacity of ~500. Additional small conference rooms will be used for presentations and discussion groups. There is also enough space reserved for federal agencies for about 50 exhibits. A very limited amount of visitor parking is available at the Natcher Center (Lot B); however, driving to the conference is highly discouraged. The Center is within a short walking distance of both the recommended hotels and the Metro's Red Line. Registration for attendees and exhibitors for the symposium will begin on Monday, July 8, 2019; the last day for attendees and exhibitors to register is Friday, September 13, 2019. Speakers DO NOT have to re-register but will be required to submit their presentations by Friday, August 30, 2019. Please note advance registration is MANDATORY for security purposes. There will be NO cost for attending, presenting or exhibiting. Please see our Registration page for more information. Participants are expected to supply their own meals. There is a cafeteria open daily from 7:00 a.m. - 2:00 p.m. and various food trucks on hand to choose from. Click here to find instructions on how to arrive at the Natcher Center from virtually any direction. Anyone needing hotel accommodations for the symposium can make reservations at any hotel of their choice. There will not be any rooms reserved in advance at any of the local hotels. For your convenience, here is a list of hotels that can be found within close proximity to the NIH campus area. You should call individually to reserve your room. You can also see https://www.fedrooms.com, which is under GSA contract to provide Federal Travel Regulation (FTR) compliant hotel rooms for federal government travelers while on official business. The National Institutes of Health, like all Federal Government facilities, has instituted security measures to ensure the safety of NIH employees, patients, and visitors. CLICK HERE for information everyone should know about entering the NIH campus, parking on campus, entering buildings, and using campus transportation. Please note: All Non-US citizens entering the campus will need to show their photo ID (passport) at the visitor center for clearance. Conference presentations will be made available at the conclusion of the Symposium.